Who are Oakes Bros Ltd? Oakes Bros Ltd is a private limited company incorporated in 1945, can trace its roots back to 1825 when Thomas Oakes set up in business on his own at 114 High Street, Hungerford, at the premises at the junction with Park Street, which were the original premises used by Oakes Bros Ltd when it was incorporated and only evacuated in 1957 when new purpose built premises were constructed in the Station Yard at Hungerford. Over the course of time Oakes Bros. became agricultural implement merchants and the business gradually expanded as the demand grew for mechanisation on the farm. We sold our first tractor in 1918, a Titan to Mr WH Box of Chiseldon. In 1950 the company was appointed Ford tractor main dealers and since then Oakes Bros. have acquired various sites and businesses with the latest acquisitions being Watson & Haig at Andover in 1990, John Wilder (Agricultural) at Reading and Wallingford in 1996, Sussex Tractors at Horsham in 2004 and William Wheatley (Wickham) Ltd in 2005. The company currently operates out of three agricultural locations situated at East Ilsley, Horsham and Micheldever. 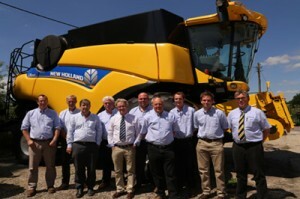 Oakes Bros is the main agricultural dealer for New Holland and JCB covering Berkshire, Hampshire, Oxfordshire, Surrey, West Sussex and Wiltshire. 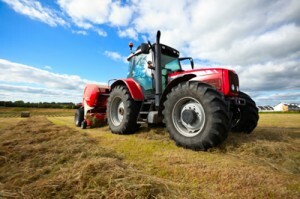 We sell a wide range of combines, tractors and farm machinery both new and used. The sales are supported by a comprehensive parts and service team. Oakes Brothers have been a partner of Southern Business Communications for more than 20 years. In early 2014 we decided to increase the products and services with SBC. Oakes Brothers moved all fixed call charges, telephone lines and broadband services to SBC as part of a pre-planned investment in the company fixed telecom strategy. This covered all three of the company sites and included free site-to-site voice communication, new telephone system hardware and enhanced call logging and recording software. To control fixed line costs while providing a suitable multi-site solution. To provide new telephone system (PBX) hardware to all sites. To understand where incoming call traffic comes from and provide suitable marketing reports. To integrate PBX with existing ACT! CRM data base. Oakes Brothers decided to partner with SBC to achieve their new fixed telecom strategy. As an existing provider we knew using SBC would provide superior know-how and expertise to achieve the right solution. New Panasonic telephone system equipment has been installed into East Ilsley, Horsham and Micheldever. The sites all inter connect using VPN network connectivity. The telephone system incorporates Tri-Line Call Logging software that provides total call visibility across three sites. The telephone system also integrates with the company CRM solution ACT. Using additional computer telephone integration software called Go Connect. Consolidation of Oakes Brothers telephone systems, calls, telephone lines and data services with SBC has provided a more efficient, managed solution – 24-7/365 days a year. The time spent analysing monthly invoices by the Oakes Brothers administration and accounts team has been significantly reduced, underpinned by SBC’s fixed provisioning team who provide support and backup needed to implement new services as and when required. Panasonic’s new cutting-edge telephone system has provided a more effective way of working. The ability to capture all calls and integration with Oakes Brothers computer systems has allowed both the sales and management team to work more efficiently and improve training and staff performance. 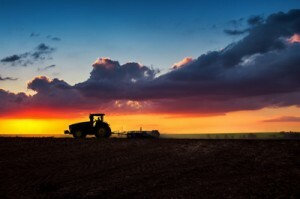 Tri-Line Tim Plus 100 call logging software plays an important role in the day-to-day business of Oakes Brothers. Tim Plus simply offers Oakes Brothers the ability to analyse all call traffic by destination and team members. In turn providing valuable data for marketing and sales processes. Go Connect software provides full integration between Oakes Brothers new telephone system and PC’s. With Go Connect CRM, every Oakes Brothers employee’s productivity has been increased, and linking Oakes Brothers SAGE – ACT! Professional database allows all users to know who is calling and to quickly get their details on the screen. Go Connect CRM software has improved overall staff productivity and greatly improved customer service levels.